Hola! Just one intro today and it's a beauty! 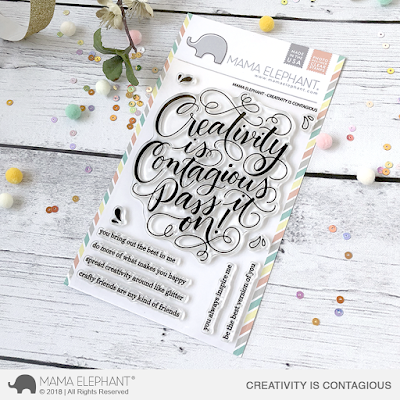 Creativity is Contagious pays homage to all of us wonderful crafters! Creativity inspires creativity, so keep doing what you do and spread art and beauty every single day! Don't underestimate the power of small simple acts and art, be it a thoughtful little handmade card or a huge mural, you're making the world a better place by spreading your creativity. So go ahead, pass it on! We love this sweet card designed by Nicky Meek. Creativity comes in many forms! See you again tomorrow! In the meantime, keep doing what you do! Ooh, pretty! Great stamp set and I love that the main sentiment is large. This is a masterpiece! It resonates with a crafter’s spirit - so very lovely!! Nicky's card is just beautiful! This is going to be a classic!! A def must have!! Good Job DIY I like. This is a lovely script. Wonderful sentiment and the images are so cute. 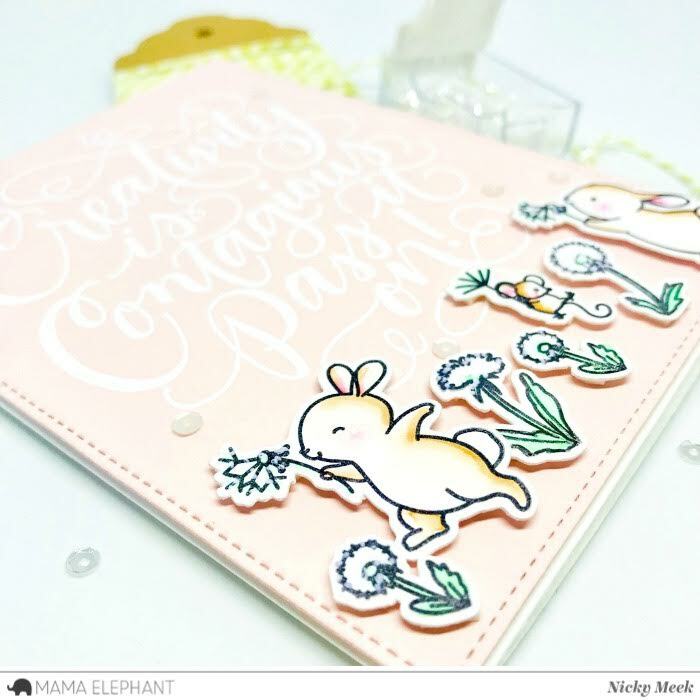 I love this big sentiment stamp!!! Super Adorable card! !